Clean air beyond the 2008 Olympics in China? 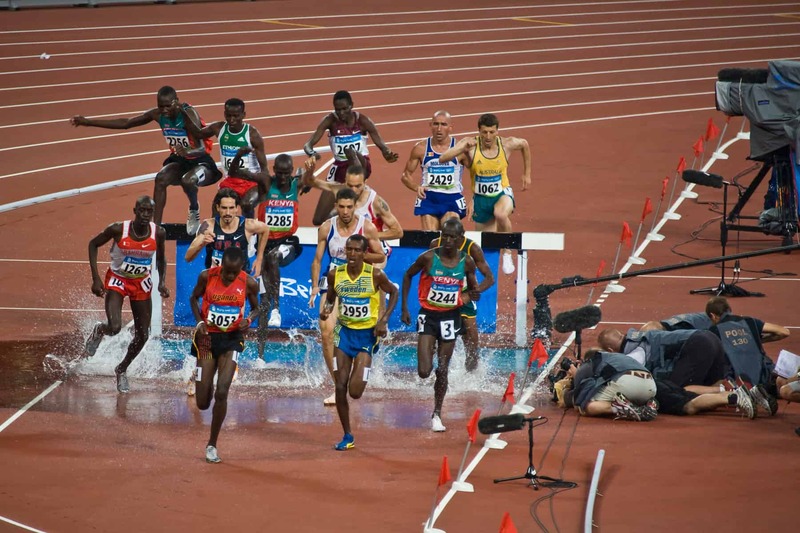 The Olympic Games creates a spectacle that enthralls the world every four years. Countries enter a competitive bidding process to select a new host, hoping to enhance their international image and attract tourism. Among many other preparations, the host nation commits to meeting recommended air quality standards to safeguard the health of athletes, visitors, and residents. Studies indicate that air pollution can affect performance and compromise the health of those engaged in competitive sports and outdoor physical activities. 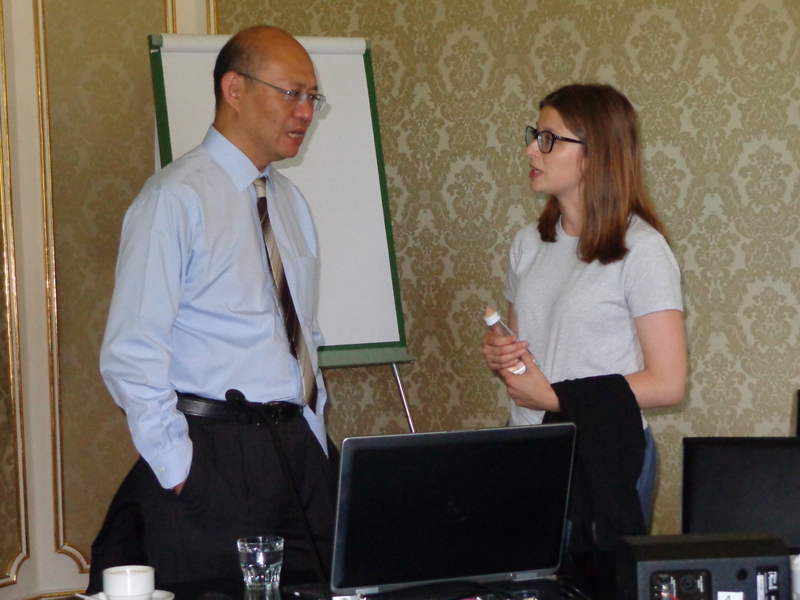 Through his presentation at IIASA in July, Professor Tong Zhu from the College of Environmental Sciences and Engineering at Peking University expounded on health effects arising from a major air pollutant: particulate matter measuring 2.5 microns or less, known as PM2.5. PM2.5 is made up of fine particles smaller than human hair, pollen or mold. These tiny particles are released into the atmosphere from many sources: burning solid fuels and waste, wildfires, emissions from industry, vehicles, construction and mining, volcanic eruptions, and dust. ‘‘It is difficult to tackle particulate matter as its chemical composition changes when it mixes with other substances in the air. It can also be transported far from the different sources depending on weather conditions and topography,’’ said Zhu. Once inhaled, the minute particles travel deep into the lungs and enter the bloodstream, leading to impaired brain, respiratory, and heart function. Lung cancer, stroke, chronic obstructive pulmonary disease and lowered life expectancy are all associated with PM2.5 exposure. Taking part in oxygen-demanding physical activities such as long-distance races, jogging, and cycling requires breathing more through the mouth than nose. This increases the likelihood of inhaling harmful pollutants, especially in areas where concentrations are high. China is a densely populated and industrialized country with coal as the main source of energy. Eighty-three percent of China’s population live in regions whose PM2.5 levels exceed World Health Organization’s guidelines, compared to 32% of the world population. Use of coal for domestic heating goes up during the winter, generating more particulate matter pollution indoors. In 2010, 1.2 million people died in China as a result of particulate matter pollution; it was the country’s fourth leading cause of death after diet, high blood pressure, and smoking. ‘‘Electricity would be a better option but is highly priced, hence the preference for biomass fuels by residents. Phasing out coal and switching to renewable energy and cleaner production technologies would greatly alleviate the problem,’’ said Zhu. 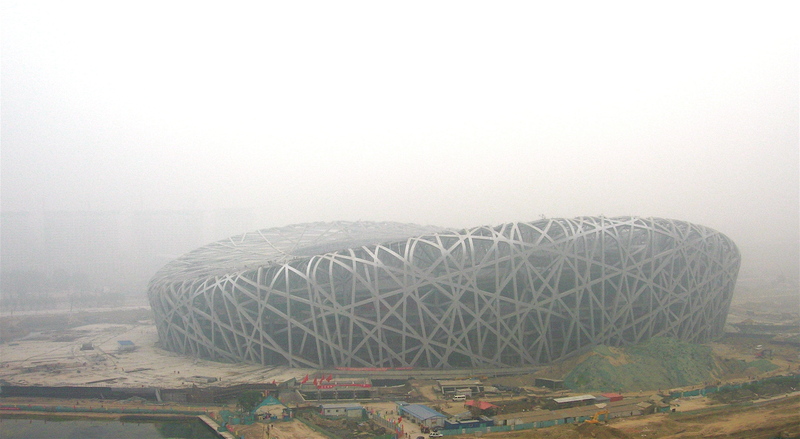 Zhu was involved in several initiatives to improve air quality in preparations for the 2008 Beijing Olympics. Measures included temporary relocations of more polluting industries and complete shutdown of coal plants, limiting construction projects, and transport restrictions. For instance, public transport and cycling was promoted to cut the number of vehicles on the road and reduce emissions. Although short term, steps taken to reduce PM2.5 and other pollutants also benefited locals living in Beijing and adjacent cities that were selected as sporting and training venues. This meant fewer people seeking outpatient and inpatient medical services, and fewer deaths. The economy also benefited from a healthy labor force. IIASA’s own work on air pollution spans 30 years, has shaped EU air pollution policy, and is now being applied to Asian countries including China. The IIASA Greenhouse Gas and Air Pollution Interactions and Synergies model enables countries to identify and select suitable cost-effective measures to tackle air pollution and reduce associated health problems. The PM monitoring in China, which was initiated for the Olympic Games, using both satellite and ground-based observations, continues and has been expanded to cover more sites in the country. Information generated about air quality status is now distributed to concerned authorities to develop or reinforce regulatory measures. Air quality alerts enable residents know when it is safe to engage in outdoor activities or adopt safety measures. China anticipates cleaner air from implementation of long-term policies and programs already in place. Investing in air quality means healthier people and alongside that, lively stadiums with athletes and cheering crowds, more medals, and world records. Zhu T (2017). Health Effects of PM2.5 in China: Scientific Challenges and Policy Implications. Presentation by Professor Tong Zhu on 11 July 2017 at IIASA.